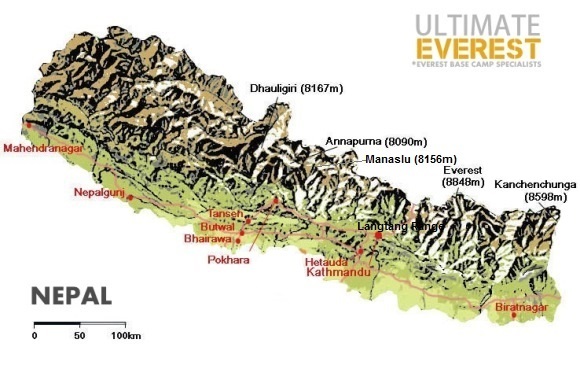 Which Trip Should I Take for the Best Trekking in Nepal? Depending on which route you take, plan on 14 to 20 days to complete our tours. Choosing a route is a personal choice and to help you decide we have listed our most popular treks below. All of the region's treks offer breathtaking views and an adventure of a lifetime. Mount Everest is the known by the Tibetan name Chomolongma (Goddess Mother of Snows) and Sagarmatha (Mother of the Universe) in Nepali. This area around the great mountain is known as the Everest region. Surprisingly, Everest is the second most popular trekking area of Nepal despite its world class status. 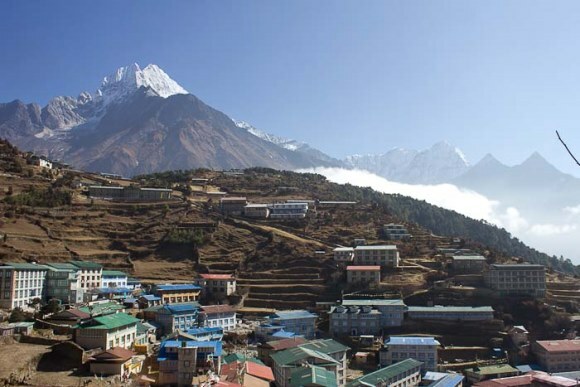 The reason is that traveling to Everest region is more expensive and inaccessable than the Annapurna area. Experience one of the world’s great iconic treks. The classic Everest Base Camp trek is an obtainable, but tough, physical challenge that offers spectacular views and a rich cultural journey. Bucket list worthy. If you have time to spare, the Gokyo route to Everest Base Camp is a favorite. 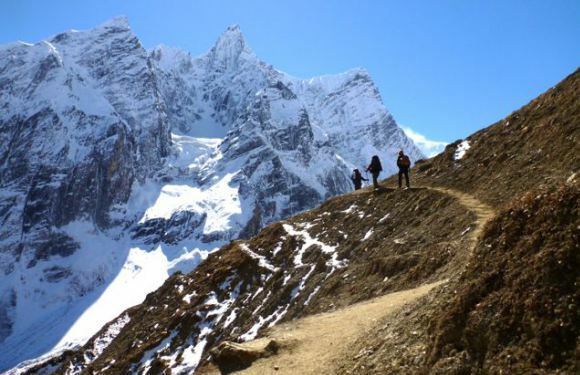 This trek escapes the crowds that favor the main route, includes a fantastic ascent of Gokyo Ri and crosses the Cho La pass. In addition to Everest Base Camp and Kala Pattar, this trek includes an exhilarating summit of Island Peak, at 20,252 ft (6,173m). This is a challenging trip, but also very rewarding one. The Annapurna region offers a combination of mountain scenery, lowland farms and villages, and a wealth of cultural interest. 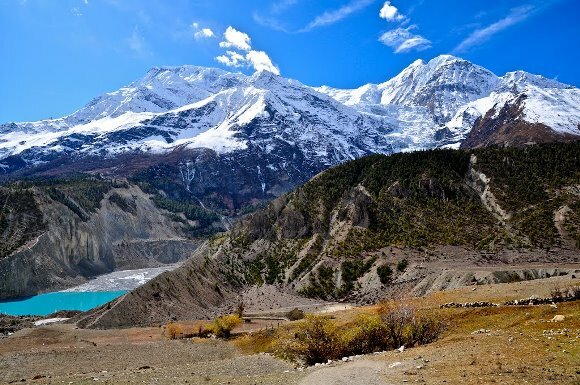 This is why the Annapurna region is the most popular place to hike in Nepal. Annapurna is consistently ranked as one of the best treks on earth. The region consists of Mount Annapurna I, II, III, IV, Annapurna South, Fishtail (Machapuchre), Mt. Dhaulagiri and several other peaks. This region is located in central Nepal. This is a shorter and easier route that treks through the Annapurna foothills just north of Pokhara Valley and ends at the scenic Begnas Lake. Hike to a natural amphitheater in the Himalayas. This short trek offers views of the Himalayan giants, which tower 7,000 m (22,965 ft) above sea level. Views of Machhapuchre, Dhaulagiri, Nilgiri, and the Annapurna’s. Circumnavigate the Annapurna Massif that offers extraordinary mountain passes with equally dramatic gorges, remote Buddhist temples, and charming Nepalese farming villages. 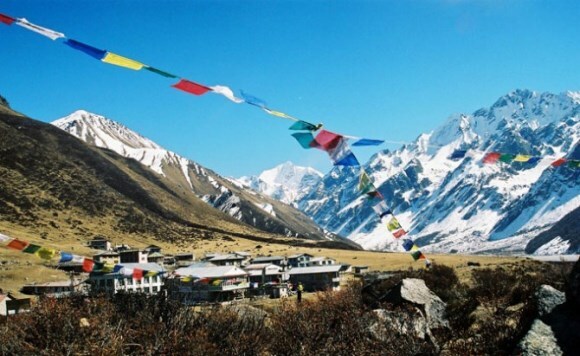 Langtang region is one of the most accessible areas for trekking. Langtang Valley is located just 19 miles north of Kathmandu, inside Langtang National park. The Tamang and Sherpa people that inhabit this area have religious practices, language and dress that are more similar to those of Tibet than to the traditions of their cousins in the middle hills. Though the Himalayan views are not quite as great as those in the Annapurna or Everest region, the valley offers fewer crowds, beautiful pine forests, swift mountain streams, rugged rock, snow-capped peaks, grassy plains and meadows. Langtang trekking is also called "the Valley of Glaciers Trek". This route is a great introduction to trekking in Nepal, offering dramatic views of the region. Trek through traditional Tibetan villages with Buddhist monasteries and ascend Kyangin Ri 4,350 m (14,271 ft). The Manaslu region is encircled by the eight highest mountains of the world, including Mount Manaslu. Manaslu means “The Spirit Mountain” and is the11th highest mountain in the world. The region is located east of the Annapurnas. This region was officially opened to tourists in 1991. Trekking in the Manaslu region offers pristine mountain views, beautiful landscape, lush valleys, and a good dose of cultural heritage. This trek is a cousin to the Annapurna Circuit that shares many of the same great panoramic views. If you are looking for a trek that is equally beautiful but feels more remote, the Manaslu Circuit is for you. Trek through bamboo forests alongside cliffs and deep gorges as you cross the Larkya La. Marvel at the fantastic views of Himlung Himal, Cheo Himal, Kang Guru and Annapurna II. Note that Ultimate Expeditions® makes our best efforts to follow the trip itineraries as presented. However, due to circumstances outside of control, such as flight delays, traffic, weather and trail conditions, itineraries may need to be modified. (c) 2014-2018 Ultimate Expeditions. All rights reserved.